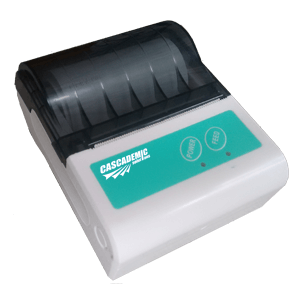 The 3-inch Bluetooth Thermal printer Solution is a reliable product from CASCADEMIC Solutions. In addition to a long battery life, it comes with support for multiple Regional Languages. Blueterm is used to configure the mobile compact thermal printer for Bluetooth operation. The Bluetooth Printer finds its use in various Billing Systems, Logistics Management applications. This Compact Portable Printer is used in ATM, POS and Payment terminal applications. As a result of its support for Regional languages and multiple fonts, the OEM hand held thermal printer serves as an accurate fit for all customer requirements.